Weird but positive feeling this time, that being writing a post at almost 3700m, from the highest capital city in the world. I would love to say that I’ve plenty of pictures to show you. The reality is a bit different. Surrounded a bit too frequently by tourists, I have to recognize that taking my big camera out (Canon 5D II, before you ask) and walking around, with it around my neck, doesn’t really fit my notion of trying to be a bit discrete and enjoying what I see. It’s a real shame because what I see here is great. But more than ever, I realize that I am not really keen in landscape photography and taking pictures of people, which is a really what I like to do, takes time. You need to talk with your subject, you need to wait for the right moment, the perfect light. And sometimes, I just want to walk, quietly, observing, analysing and enjoying what I’m seeing, without having to think about the safety of my equipment, the disturbing background or how to make my subject feel confident and relaxed. Maybe I should also travel with a smaller camera. But till yet, I haven’t found a nice, not too expensive one. Maybe the new Canon ESO M… but that’s another story. 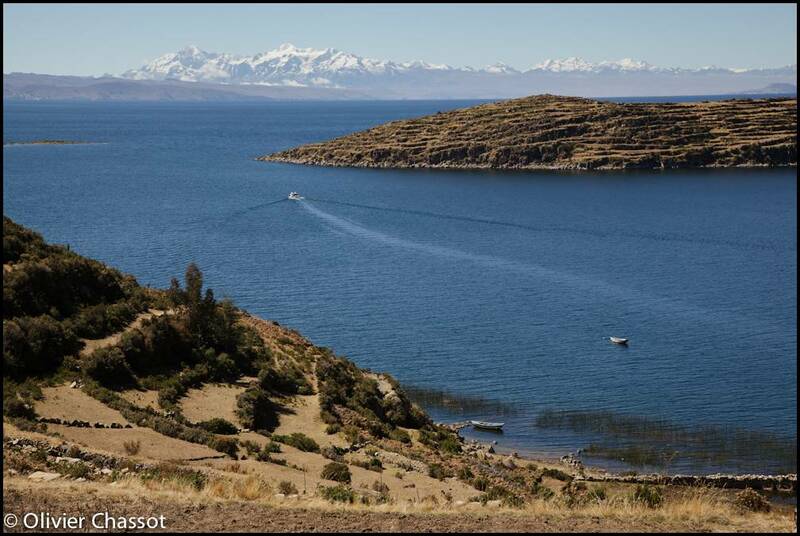 17 July 2012: Isla del Sol, Lake Titikaka, Bolivia. [Click on the picture to enlarge it]. 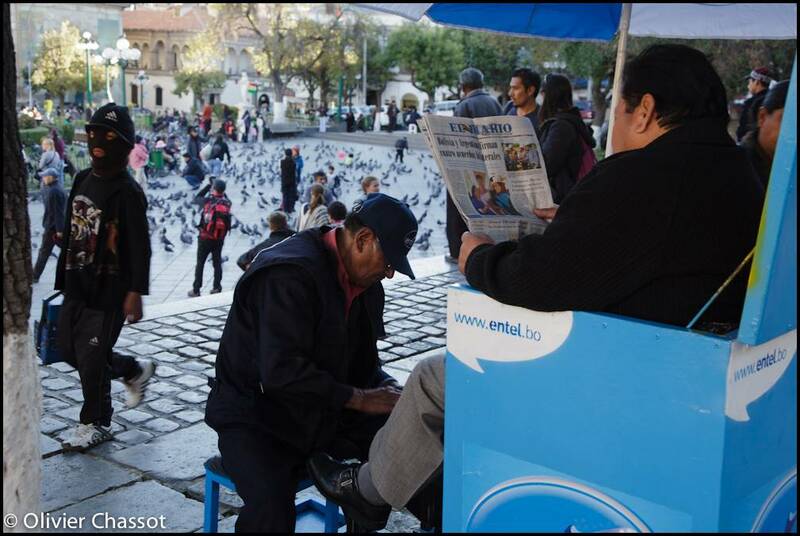 19 July 2012: La Paz and shoeshiners, Bolivia. [Click on the picture to enlarge it]. 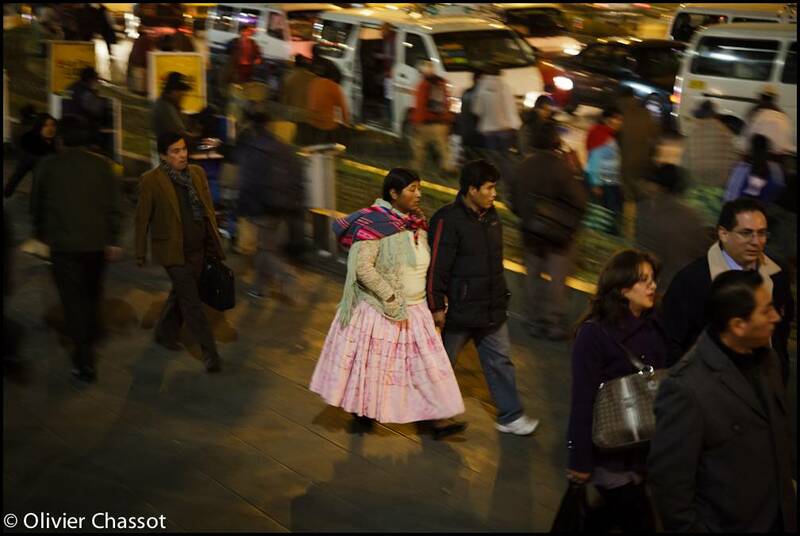 20 July 2012: Streets of La Paz, Bolivia. [Click on the picture to enlarge it].